Originally posted on Medium by Dalvin Sejour. This blog serves as motivation to people in their early 20s contemplating whether they should travel now or wait until later in life. The intention is to motivate you to book your next trip. Growing up, I loved watching adventure movies about going on a unique journey in mystical locations across the globe. Whether it was China, Australia, or South America I was fascinated by the boldness they had to just leave their homes and go so far away. Granted, most of those explorers were white middle aged males with fortunes, I wanted to be the representation that I didn’t see in many of the films or video games I played. Because I believe in speaking things into existence, I had long ago believed I would explore far away locations, even without knowing how I would make it happen. All I knew was that I would get there. Fast forward to my Junior year of college where the seeds of the thoughts I put into the universe began to manifest itself when I got the wild idea to study abroad in Australia. Sage Corps was a unique program that allowed me to study abroad and work at a start-up company. I am an Information Technology major therefore I wanted to be able to not only stay on track with my academics, but also get paid. The program pairs you with early stage startups and you are able to make a contribution by working as an intern. I worked as a Full Stack Developer intern where I created an internal A-B application. 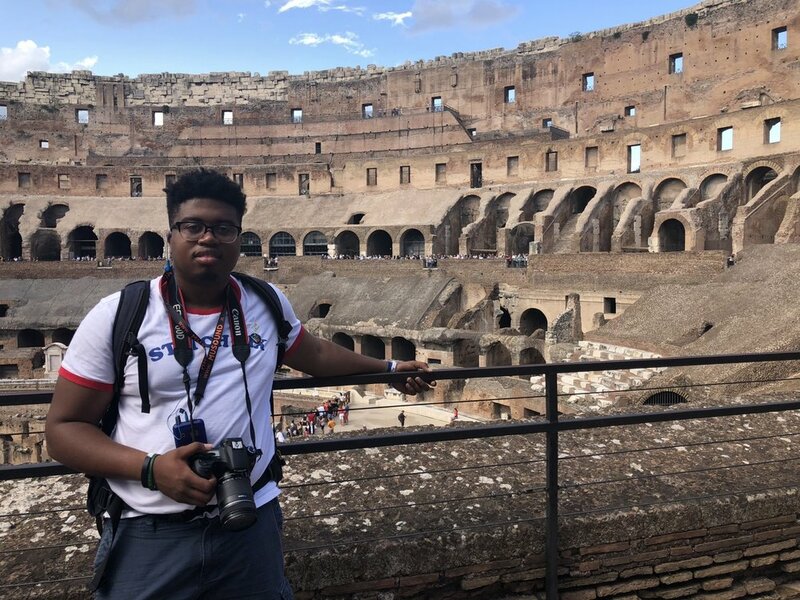 After the painstaking process of getting my university to allow me to participate in the program, I was able to study abroad. I made a pact with Sallie Mae and obtained a Gilman Scholarship and before long I was on my way to a far away land that I always dreamed of. It was amazing having a steady income while working abroad because it gave me the opportunity to experience the country without penny pinching. I was able to fully experience the country and be enriched by its culture. Then I realized that it becomes easier to plan for a trip when the time of stay is shorter. Traveling to other parts of the world becomes easy after you’ve done it once. In conjunction with my travels to Australia, I took it upon myself to travel to nearby locations because why not? I was there anyways! For spring break, I went on an island tour of New Zealand. A group of friends and I hopped into a rental car and toured the South Island, hopping from hostel to hostel on our trip. Hostels are amazing because they are super cheap, but you get what you pay for so don’t expect lavish accommodations. At the end of the semester I decided to take a tour of South East Asia where I booked 3 direct flights from Australia to Singapore, Singapore to Thailand, and Thailand to Australia. Because you can go on sites like TripAdvisor and find cheap tours and atractions in the area, trip planning is much easier. Likewise, hopping from country to country is cheaper once you are on that side of the world already! 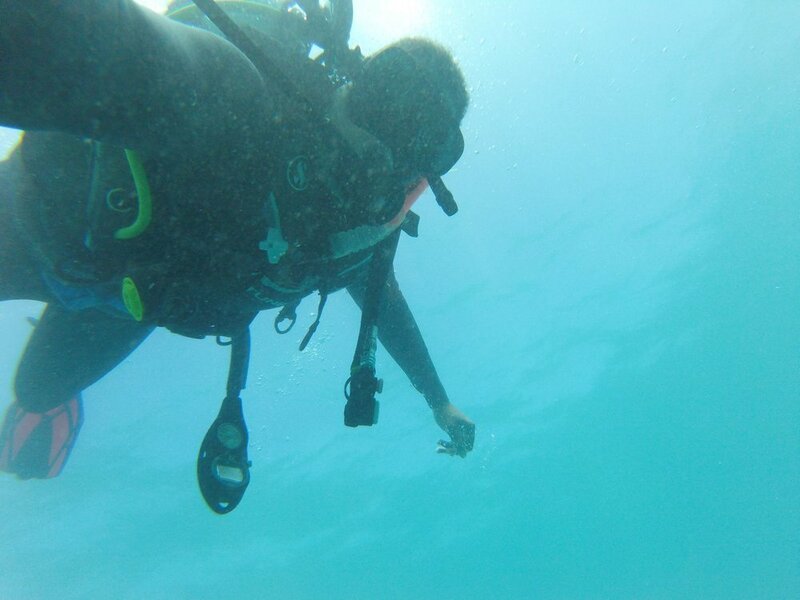 I always wanted to do something crazy like scuba dive. I don’t know why, but something about the deep unknown interested me. Therefore, while I was in Australia, I became a certified Scuba diver. I took an online class for a month, scheduled my practice dives, and finally organized a trip to the Great Barrier Reef. I did something many people don’t do, which is a goal I try to set for myself when I am in different parts of the world. Do something out of the ordinary. Traveling Abroad young is common everywhere else. Many of the students I encountered from locations across the globe travel internationally young. Because of the capitalist lens, in the USA we tend to look at our prime years, typically the 20s to late 30s, as a time to maximize wealth. As that may work well for some, I believe life is also about balance, therefore, I would rather be able to see all the sights around the globe while my body is still cooperating with me and build myself financially at the same time. Everyone in the world is not out to get you. Like many other people, I have an overactive imagination. Thankfully, it did not stop me from taking the leap to go abroad. Whenever I tell my friends and family I am traveling abroad, most of them are afraid I am going to get kidnapped and tortured like a scene from the movie Hostel. I was able to abstract that by believing people are inherently good. The world is indeed a scary place, but it is as fundamental as looking at the glass half empty or half full. That can separate you from living your wildest dreams to watching others live their wildest dreams behind a glass screen. You can really travel on a budget. Like many people, money was the biggest factor in being able to travel abroad. I come from a lower middle class family and didn’t have the security of my parents’ bank account to fund my trip. So how did I do it? Honestly, it was just having faith in it being able to make it happen and prioritizing. Fortunately, I had applied to a Gilman Scholarship to back me up along with the financial support of school (Sallie Mae) to help me travel the first time around. I failed to realize how easy it was to travel, however, when I shifted the priorities of my expenses, I was able to accommodate travel expenses. I love shopping, but once I made traveling my priority, I was able to begin visualizing my expenses. My thinking shifted from buying shoes to booking flights. This fundamental shift in mindset and understanding the weight of simple everyday purchases helped me keep motivated to save money towards future trips. Now my goal has been crafted to visit a new country every year for the rest of my life, no matter the circumstance that year. After my tour of Australia, I made a pact to myself that I would continue traveling every year. Therefore, my next trip was to Europe. I visited Paris, Italy, and Amsterdam. After traveling and making friends abroad, you have the possibility of having friends in different locations. Unfortunately, during the time I went most of my friends were at their respective schools so I didn’t have a place to stay, but if you coordinate your trip accordingly you can overcome a major expense: housing. If you have never travelled outside of the US, Europe is the best place to go because of how interconnected the individual countries are. Similarly to Ash Catch-Em racking up badges from his different battles with Pokémon’s, you can rack up the amount of countries you have visited. Inter country travel is very cheap! I am talking about a flight from Paris to Italy costing like 100 Euros max or a train from Paris to Amsterdam costing like 65 Euros - which is relatively cheap. As of today that would be about $116 and $75, respectively. Cheap! Don’t be afraid because most of these countries are very accommodating to the English language, especially if you go to major cities, which will allow you to navigate things easily. For example, some restaurants have menus that are English and other things of that nature. Ultimately, the world is your oasis. It is up to you to take that initial leap of faith and begin to explore. I couldn’t possibly leave this earth knowing that I only scratched the surface of exploration. I hope my travel experiences have provided you with the desire and courage to go abroad. Hopefully, I will bump into you in some foreign land. You choose the path you want to take so choose wisely! You can follow me on Instagram and Twitter @officialdalvin to keep up with my crazy adventures. Also follow my business page on Instagram @dalvindigitaldesign to get a quote on my different services such as photography, web design, and graphic design. Ready for an adventure like Dalvin’s?